John has worked as a Computer programmer, Data analyst, Project manager, Business analyst, Business and Management consultant, Company Director and Non-Exec Director on NHS Trust. At the age of 17, John had an accident that left him with a high level spinal cord injury. 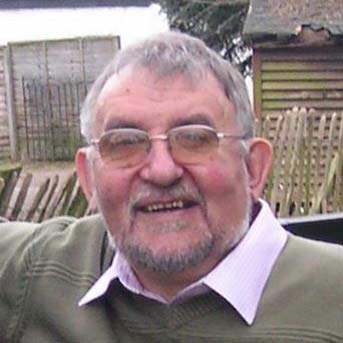 From 1981-2014 he was the Trustee/Director of national charity, The Spinal Injuries Association, where he served two three-year terms as national Chair and four three-year terms as Vice-Chair. From 2000, John has been a non-executive director of NHS Primary Care Trusts and the chair of local disability charity, Disability Solutions. For the last four years John has also been a Patient Representative on two National Institute of Care Excellence (NICE) Guideline Development Groups. Born in Yorkshire and resident in Stoke-on-Trent for the last 20years, John is very committed to FRONTLINEdance. He helped Rachael set up the company over 17 years ago, supporting the transition from sole trader to Company Ltd by guarantee (no shareholders) in 2001.